Villardo RJM, Rosas-Salazar C, Spahr JE, Dohar JE. An Unusual Solitary Endobronchial Pulmonary Arteriovenous Malformation in a 10 Year-Old Child. Int J Ped Otorhinolaryngol. November 2011; 75(11): 1463-1467. Silva RC, Dohar JE, Hebda PA. Novel Rat Model of Tympanostomy Tube Otorrhea. Int J Ped Otorhinolaryngol. 2012; 76: 179-182. Cetin-Ferra S, Tobey AB, Sandulache VC, Yang TB, Barsic MR, Lin Y, Dohar JE, Hebda PA. Anti-inflammatory Intervention with a Cyclo-oxygenase-2 Inhibitor for Improved Healing in Airway Mucosa and the Prevention of Subglottic Stenosis. Arch Otolaryngol Head Neck Surg. 2012; 138: 962-968. Dohar JE, Greenberg LL, Galera RI. The Dysphonic Videolaryngostroboscopy Paradox And Challenge Of Acquired Subglottic Stenosis (SGS) After Laryngotracheal Reconstruction (LTR). Int J Ped Otorhinolaryngol. 2013; Volume 77, Issue 5, May 2013, Pages 732–738. Feb 25 doi:pii: S0165-5876(13)00042-6. 10.1016/j.ijporl.2013.01.028. Shah JR, White K, Dohar JE. Vocal Characteristics of Congenital Anterior Glottic Webs in Children: A Case Report. Int J Ped Otorhinolaryngol. 2015 June; 79(6):941-945. doi: 10.1016/j.ijporl.2015.04.008. Epub 2015 Apr 14. Mair EA, Moss JR, Dohar JE, Antonelli PJ, Bear M, LeBel C. Randomized Clinical Trial of a Sustained-Exposure Ciprofloxacin for Intratympanic Injection During Tympanostomy Tube Surgery. Ann Otol Rhinol Laryngol. 2015 doi: 10.1177/0003489415599001. Sandaluche VC, Singh T, Li-Korotky HS, Lo CY, Otteson TD, Barsic M, Dohar JE, Hebda PA. Prostaglandin E2 is Activated by Airway Injury and Regulates Fibroblast Cytoskeletal Dynamics. Laryngoscope 2009 Jul; 119(7):1365-73. Singh T, Sandulache VC, Otteson TD, Barsic M, Klein EC, Dohar JE, Hebda PA.. Subglottic Stenosis Examined as a Fibrotic Response to Airway Injury Characterized by Altered Mucosal Fibroblast Activity. Arch Otolaryngol Head Neck Surg. 2010; 136(2):163-170. Anne S, Borland LM, Haibeck L, Dohar JE, A Conscious Sedation Protocol for Videolaryngostroboscopy in Pediatric Patients. Int J Otolaryngol. 2010;2010:ID 643123, 4 pages doi:10.1155/2010/64312 Epub 2010 Nov 29. View Dr. Dohar's most current publications. 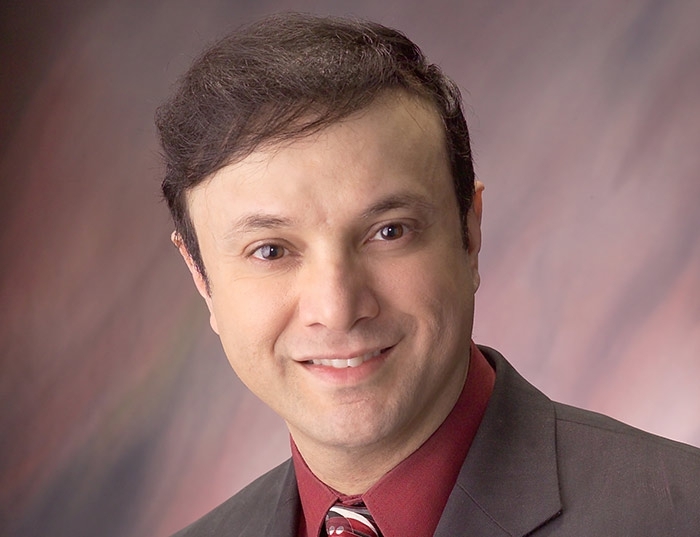 Dr. Dohar is a Professor of Otolaryngology at the University of Pittsburgh School of Medicine and a Professor of Communication Science and Disorders at the University of Pittsburgh School of Health & Rehabilitation. He is a Pediatric Otolaryngologist on the full-time staff in the division of Pediatric Otolaryngology at Children's Hospital of Pittsburgh of UPMC. He served as research co-director of the Wound Healing Program and is an active Member Faculty of the McGowan Institute for Regenerative Medicine. Dr. Dohar has established himself as an expert in otitis media having participated in both privately funded and NIH funded research in the area for almost 25 years. He has delivered over 300 lectures nationally and internationally on the subject and has almost 300 publications including books, book chapters, and peer reviewed manuscripts. He has served as an ad hoc reviewer of grants on otitis media and has been a consultant to the FDA. Following receipt of his Doctor of Medicine degree from The Ohio State University, Dr. Dohar completed his residency training at the University of Minnesota Hospital and Clinic where he also received an NIH supported Master's Degree. He went on to complete a clinical and NIH funded research fellowship in pediatric otolaryngology at the Children's Hospital of Pittsburgh and is certified by the American Board of Otolaryngology. He is the medical director of the Voice, Resonance, and Swallowing Center and formerly served as research director of the airway wound healing program. His interests include pediatric sinonasal disorders, chronic pediatric ear disease, voice and swallowing disorders, bronchoesophagology, and otitis media. An 8-week, prospective, multicenter, open-label study of OTO-201 given as a single administration in pediatric subjects with a history of otitis media requiring tympanostomy tube placement Principal Investigator 2/1/15-1/1/16 Otonomy, Inc.